This smart metallic silver foil balloon has the words 'Merry Christmas' printed on it. Requires helium filling. 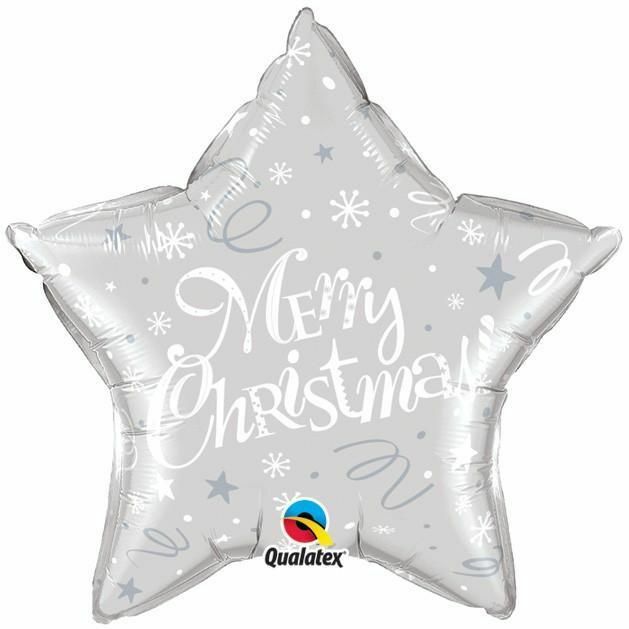 These balloons are ideal for Christmas Parties and dinners as they provide a smart centrepiece for your tables. Add plain silver stars and white ribbon. Don't forget to purchase weights.